Cream together the butter, cream cheese, sour cream, six teaspoons of sugar and vanilla bean paste. Next, add the beaten eggs, lemon juice, and salt. Mix in the cooked egg noodles. 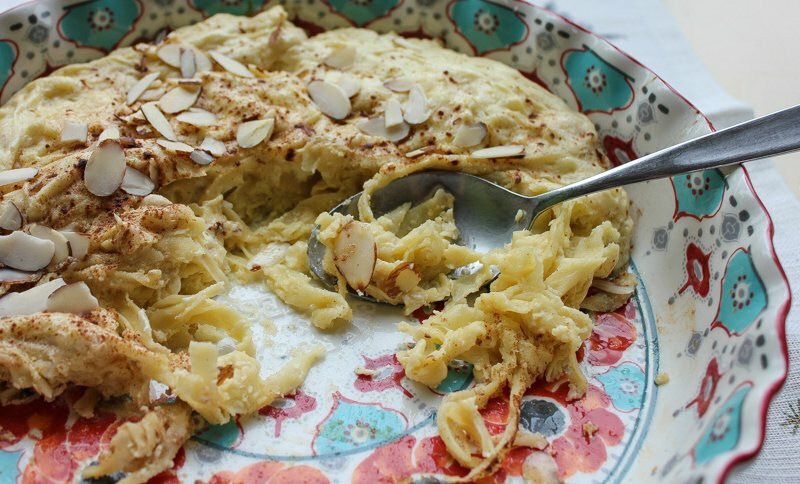 Pour into a buttered baking dish and top with 1/4 cup of sugar, cinnamon and sliced almonds. Bake in a 350° oven for about 30 minutes or until golden brown and smelling amazing! Celebrate all cultures this Holiday season with this traditional Jewish recipe. It repurposes leftover noodles in this unexpected, flavorful way. I love to eat it for breakfast! Happy Holidays, All! Ring in the New Year with Hipcooks!